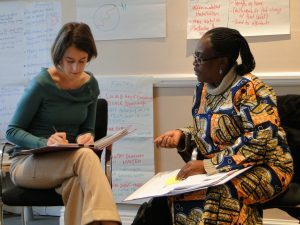 This course introduces participants to the core skills needed to influence powerful stakeholders and policy processes in a range of contexts. It also gives participants a thorough understanding of how to develop and monitor effective advocacy strategies. You will explore tools for analysing where power lies on your issue and who has a stake in it. You will learn how to develop a theory of change and how to tailor your advocacy to the interests of those you seek to influence. You will also learn skills in communicating an advocacy message, face-to-face influencing techniques, using the media, public campaigning, and research for advocacy purposes. The cost of this course is £1195 non-residential (includes training materials, lunch and refreshments) or £1595 residential (includes training materials, and accommodation for duration of course). Individual coaching is offered to course participants at a discounted rate of £50 per 50-minute session. Please apply before Friday 4 January 2019. Kindly note that applications are assessed on a rolling basis. We reserve the right to close the enrolment before the deadline in case the course is oversubscribed. Apply early to avoid disappointment!